The parents of a gravely ill baby have been jailed after failing to seek out medical care for her - opting instead to believe in the power of prayer and “supernatural healing powers”. Brian Kandare, 29, and Precious Kandare, 37, of South Avenue, Wednesfield, admitted the manslaughter of eight-month-old Rebecca, who died in January last year from pneumonia. 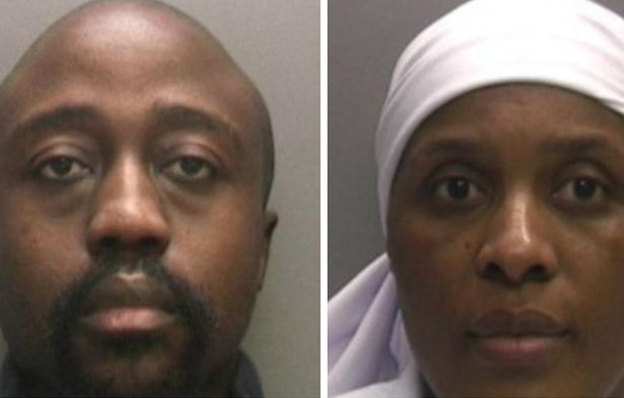 Nottingham Crown Court heard that the couple handed over responsibility of the care of their sick daughter to a church midwife three days before she died, believing in her “supernatural healing powers”. Mr Justice Edis jailed Mr Kandare for nine-and-a-half years and Mrs Kandare for eight years. Prosecuting, Jonas Hankin QC said Rebecca was “significantly underweight and severely malnourished” and that she weighed as much as a three-month-old when she died at the New Cross Hospital, Wolverhampton. He said: “Her illness was treatable and her death was preventable. “It is highly unlikely that Rebecca would have died if she has been presented for medical care more than 24 hours before she collapsed. Their church, the Apostolic Church of God in Wolverhampton, had strict views on modern healthcare with members of the congregation encouraged to speak to the church’s midwife with medical problems before seeking further help. Members could also be excluded from certain church activities if they went to a doctor without permission, the court heard. But Mr Hankin said it was “difficult to ascertain” why neither parent did more to maintain their daughter’s health. He added: “Rebecca’s death was a direct consequence of a prolonged course of wilful neglect, which involved a failure to provide an adequate supply of sufficiently nutritious food and denial of access to medical aid. He added that the defendants remained “inflexible” in their approach as Rebecca’s condition deteriorated, rejecting modern healthcare “in favour of strict adherence to the church’s teachings”. The court also heard that when Rebecca died she weighed 11lb 9oz, there was no trace of food or milk in her stomach and that she was suffering from the worst case of rickets an expert has seen in his 33 year career. Mr and Mrs Kandare were members of the 20-strong congregation of the Apostolic Church of God in Wolverhampton, where prayers were held in a converted garage in the back garden of a house.